Named as the #1 place to retire in the U.S. by CNN’s Money Magazine in 2009, Port Charlotte is a laid back community positioned on the North side of Charlotte Harbor in Charlotte County. About 40 percent of homes here sit on canals and waterways which lead to Charlotte Harbor; Port Charlotte is a mecca for boaters and water sport enthusiasts. There are over 270 square miles of sailing waters and almost 220 miles of protected shoreline to explore and enjoy year round. 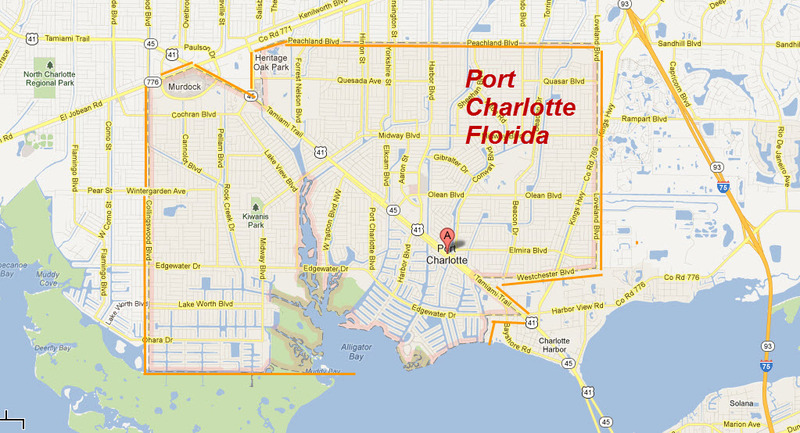 But there’s more to Port Charlotte than just the surrounding waters. There is a dynamic and diverse economy where top economic sectors are found which includes tourism, hospitality, education, real estate, and health care. The city also sports a thriving small business community where the lack of a Florida Income Tax (including interest and dividend income) is an attractive draw for entrepreneurs. The Murdock area of northern Port Charlotte is proving to be a popular shopping and business center for area locals. Here you’ll find Port Charlotte Town Center Mall, golf courses, yacht clubs and boating facilities adding to the attraction of the area, all of which can be enjoyed year round.